If you are looking for a quality driving school South Shields. Please get in touch! See our reviews to prove it. Or visit our Facebook page. 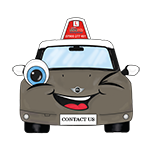 Give us a call or send an email to get more information on driving lessons and what we can do to get you driving. Your freedom is our commitment. Our prices for driving lessons are some of the cheapest around.